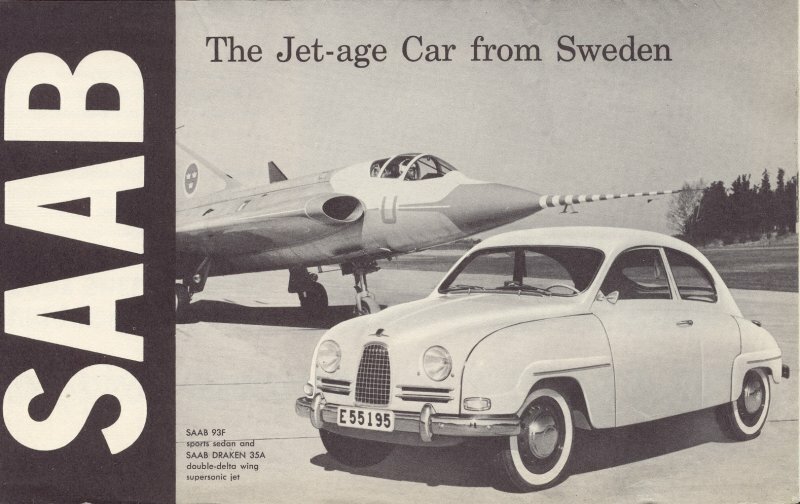 JET AGE DESIGN – The sleek aerodynamic design of the SAAB (developed in a wind tunnel) drastically reduces wind resistance and air noise. 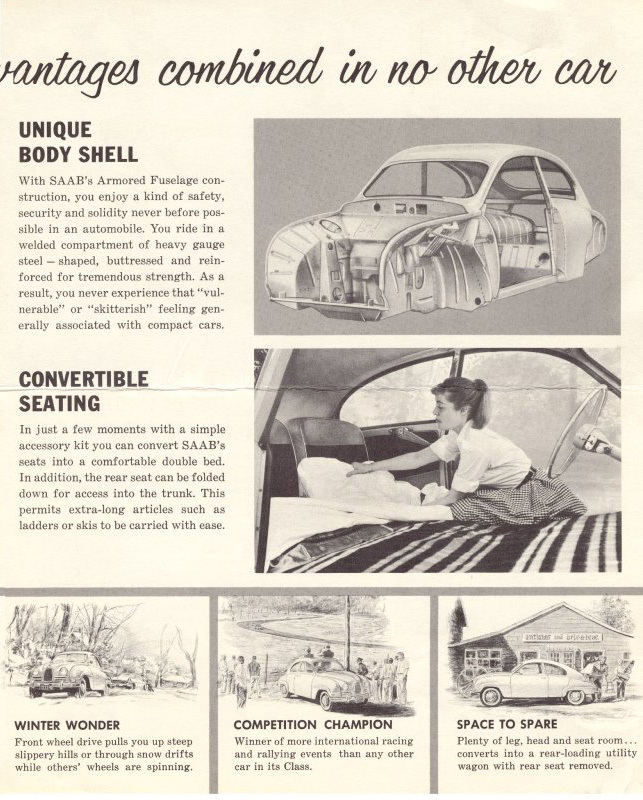 The car cruises through strong headwinds with amazing ease, silence and sure-footedness. 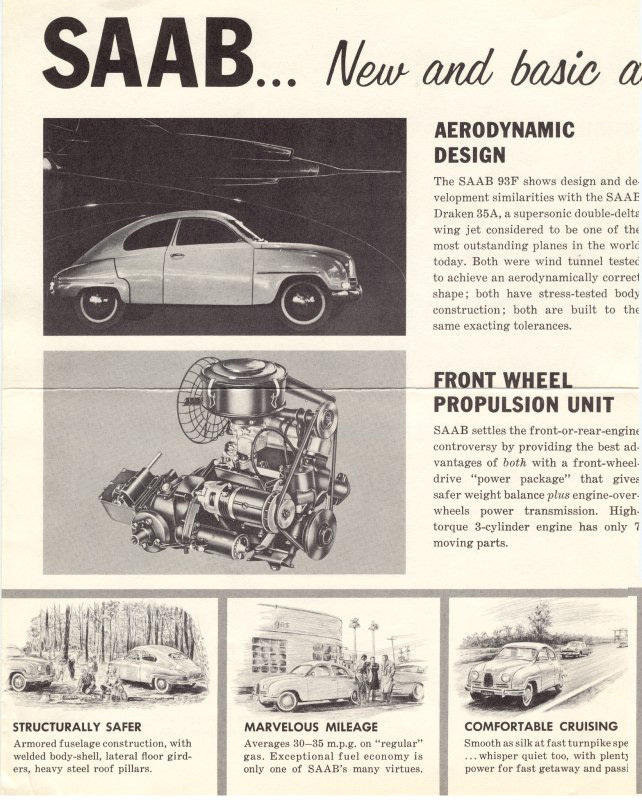 JET AGE ENGINEERING – The highly efficient engine delivers substantially more power per pound than conventional engines. 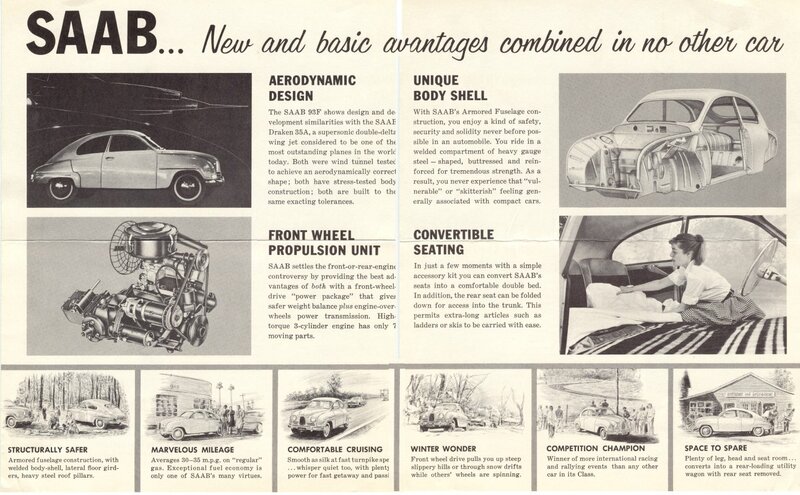 This power allows the car to be cruised at speeds beyond those usually possible in other small cars and also eliminates the need for frequent gear shifting at lower speeds. 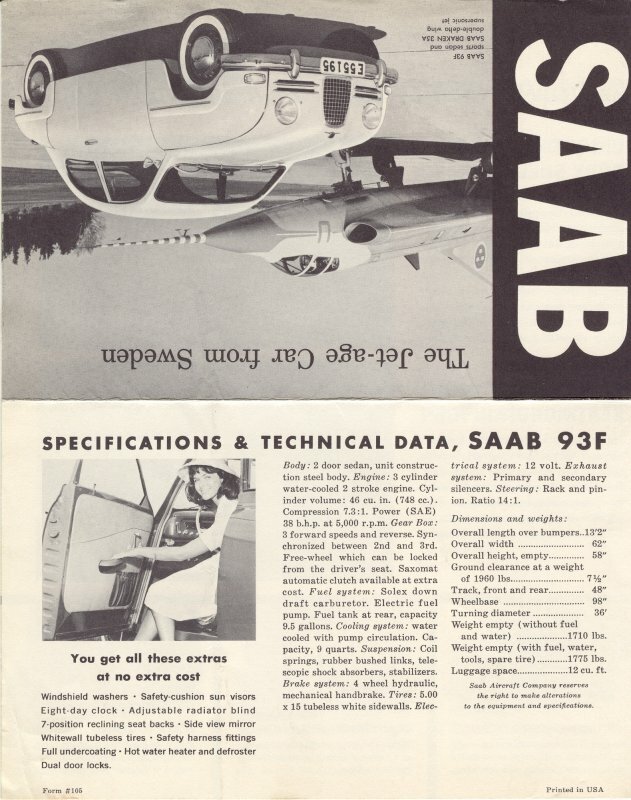 JET AGE PERFORMANCE – SAAB is equally at home in bustling city traffic, on the open road or in competition. Here is a car that gives instant response – yet its feeling of rugged solidity tells you that this is a car that’s built to take it. 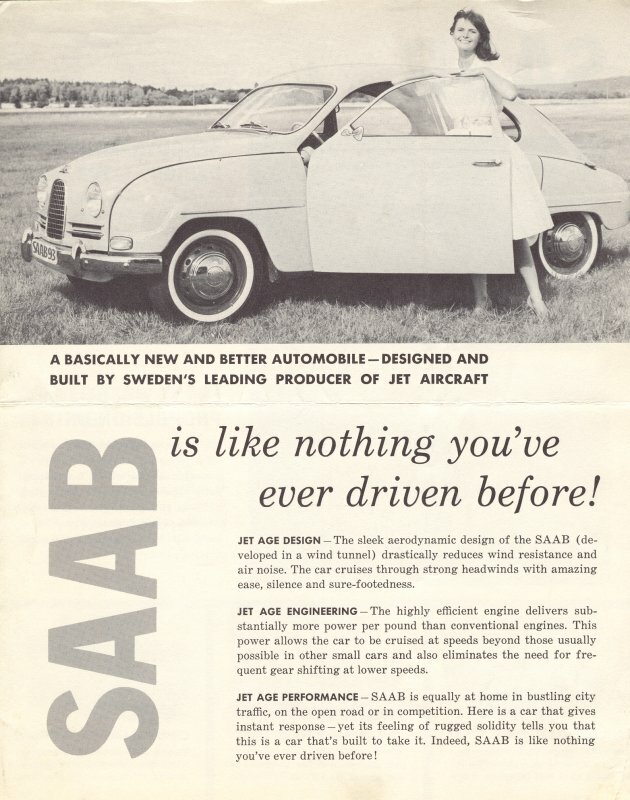 Indeed, SAAB is like nothing you have driven before!